As some of you may know this camera was announced on 15th of February and released on March 1st. I thought I’d have a look at the camera and identify the main strengths of the camera based on my knowledge and subjective shooting experience. We know that a couple of Fujifilm cameras won EISA Award 2017-2018, so should we expect the same level of success from Fujifilm X-H1? So far it seems that it’s likely to happen. Note: There were a few updates since the initial publication of the article. Where did the letter “H” come from? 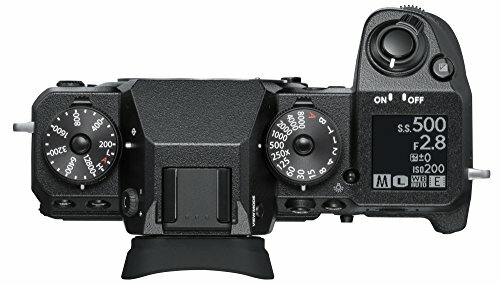 Many colleagues assumed that this is from the word “Hybrid” because this novelty is adapted for video shooting way better than other Fujifilm cameras. In the official presentation, it wasn’t the “hybrid” character of Fujifilm X-H1 but “High Performance for Professionals” that the focus was placed on. The positioning of this model is not only and not so much about video-shooting, but about high performance in all directions. 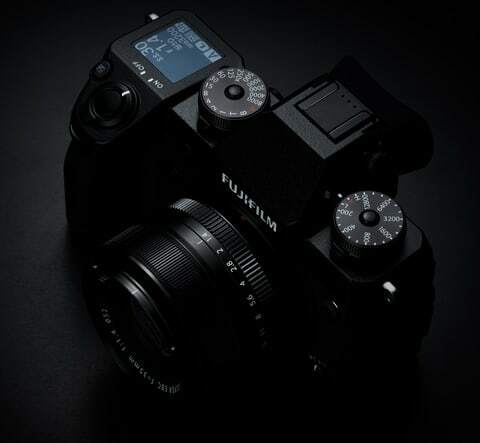 This is a new flagship line, released “on top” of the existing X-T. Most camera manufacturers today have proper orientation towards professionals’ needs. As it seems the creators of mirrorless cameras seem to have given up their efforts to make the whole world love compact and light cameras. In any case, with the pro-segment their expectations didn’t materialize. Fujifilm X-H1 acquired a more massive body with a large, gripping handle. The thickness of the walls of the magnesium body was increased by 25%, with the special ribs of rigidity inside. The camera didn’t become shockproof, although it did receive some protection from inaccurate treatment. The strengthening of the case is necessary mainly for the use of new massive lenses. Very soon the big and heavy by the current standards XF200F2 is expected. Meanwhile, in June we will see new cinema lenses on sale such as FUJINON MKX 18-55mm T2.9 and FUJINON MKX 50-135mm T2.9. The rear panel also bears the imprint of the heritage of professional DSLRs. In the thumb finger area there is a joystick for direct selection of the points of autofocus, large buttons AF-L and AE-L, multifunction navigation, call button menu Q and the button DISP. Laconic, but everything in its place. The developers said good-bye to the expodiscs. Perhaps, the experience of professional DSLRs was taken into account (where such a disk is not available). 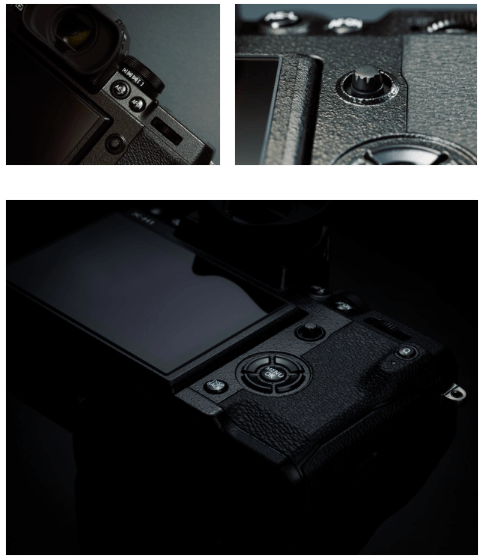 But, there is an exposure compensation button on the top panel of the Fujifilm X-H1 body. And the area of the expo-disk went to a smart information display (and again an analogy with the “DSLR” pro-segment). To the delight of Fujifilm fans, the quasi-mechanical drums of setting the photosensitivity and the exposure remained intact. 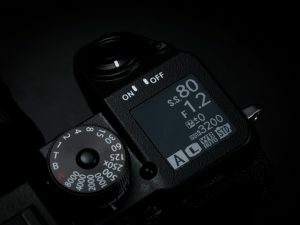 The shutter and exposure modes are still selected by separate selectors, and the focus modes is this small “twirl” button on the front panel. Traditions are a sacred thing. The coating of the camera body was also subjected to processing. It has become thicker and now has as many as three layers. Vintage attire looks stylish, but the metal case still needs to be protected from oxidation. A total of 94 sealing points save the smart camera from the the ingress of dust and moisture. The cold resistance of the novelty is stated to be up to -10 degrees. Note that the new design has a shutter release button. It is very soft and light. After half-pressing, the button releases the shutter earlier than the finger goes until the limit point. Unusual, but after a couple of hours of shooting you’ll adapt. Half-pressing is pretty instantaneous. Just touch the button, and the camera has already focused. This solution reduces the risk of having blurry images. One of the interesting features that we were told about (which can’t be seen in the store) is the increased area of the copper plate-radiator located behind the block of the sensor. This is done for 4K video. And for photographers, a damper (shock absorber) is important, which mechanically unleashes the shutter block and the body. The shutter works tremendously quietly, almost silently, and doesn’t create any vibrations. An electronic shutter is also available. 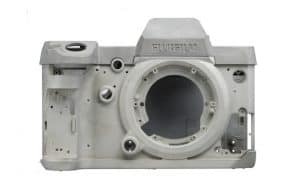 Fujifilm X-H1 became the first camera in the manufacturer’s line, which has in-body stabilization (a stabilizer based on the sensor shift). We can say that at the time of writing this article, out of major manufacturers of photographн equipment, this trend is ignored only by Canon and Nikon. Other cameras do have stabilized sensors. The logic behind the five-axis stabilization is close to what we saw with other manufacturers. and also rotation around the optical axis. With the stabilized original lenses, they work out the two axes laid by them (slopes right-left and up-down), the other three displacement axes remain the camera. … which is able to compensate for displacements along the four axes, leaving the camera only rotating around the optical axis of the lens. The effectiveness of Fujifilm in-body stabilization is very high. It is stated that the double processor is recalculated by the stabilizer, which performs up to 10,000 calculations per second. When shooting you confidently will manage to receive sharp shots with exposure up to ⅛-¼ s. This is achieved with unstabilized FUJINON XF 35mm F1.4 R.
This lens has simultaneously a large area of the frame coverage (it too, it turns out, is taken into account when the stabilizer is working! ), And a relatively small focal length. (We will try to test in detail the work with this lens in our upcoming big test). The efficiency of the autofocus has increased. 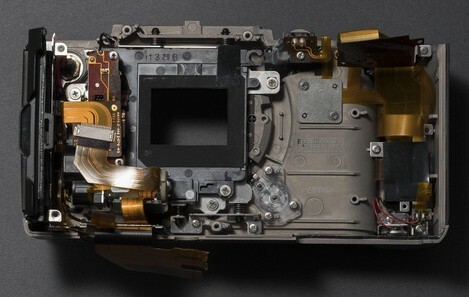 In this camera, the phase autofocus across the sensor calculates the phase difference for the vertical, horizontal component and for each pixel. Each area of autofocus consists of 60 information sources, and is not considered as one sensor. 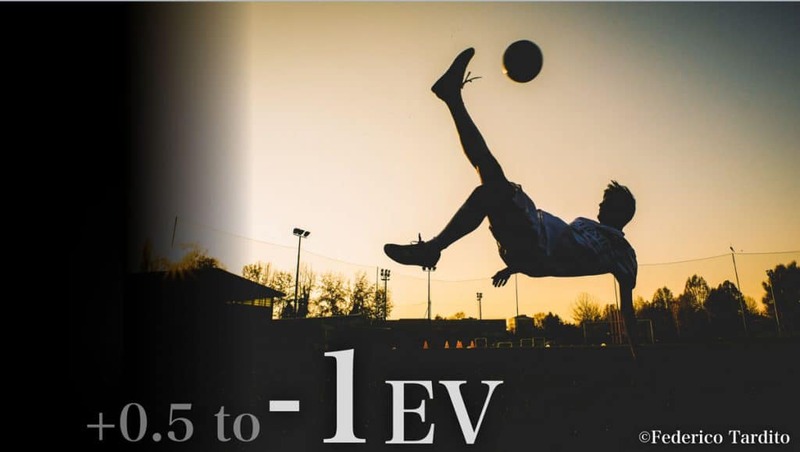 The sensitivity of autofocus in low light conditions was increased to -1 EV. The camera perfectly recognizes the scene, selects the face and eyes, and focuses on it well. (By the way, if you are into sports, check out these 5 top-rated cameras for sports photography for 2018). It is claimed that even during zooming the AF works, anticipating the zooming direction and making appropriate corrections. The operation of the phase sensors is now provided up to aperture f/11 (before it was up to f/8). Probably, they meant telephoto lenses with a converter. At the conference, the Fujifilm representative has told us that there are improvements both in hardware and in algorithms. But some of them probably can be added to the firmware of other cameras as well. This way, the birth of X-H1 can simultaneously improve the characteristics of the same X-T2. Video capabilities of the hybrid digital camera were also greatly expanded. Undoubtedly, it implements the recording of 4K (up to 4096 × 2160) with a frequency of up to 25/30 fps. The maximum bitrate is up to 200 Mbit/s. The time code and F-Log (8 bits) are supported. For shooting Full HD, the slow-motion mode is available up to 120 frames per second. At the same time, the survey resolution is very, very high. Out of the interesting features is a new film-simulation “Eterna”. Even in the photos, it allows you to capture a lot of information in the shadows and lights. And this is a good alternative to F-Log. For the enthusiasts of the video shooting, two lenses were created, which absorbed Fujifilm’s many years of experience in creating cinema optics. These are FUJINON MKX 18-55mm T2.9 and FUJINON MKX 50-135mm T2.9. With these lenses there are no distortions which we prefer to ignore in the photography world. They don’t have breathing effect, don’t shift the focus after zooming, there is no shift of the optical axis when zooming or focusing. They have step-by-step control of the diaphragm. And all three rings – focusing, zoom and diaphragm control – are equipped with prongs for pairing with a follow-focus, have a standard 200 degrees. All this provides an amazing smoothness in the management of such lensess, especially with the use of the appropriate body kit. Fujifilm X-H1 Camera: What Else Can Be Said? Testing all the innovations that have appeared in the Fujifilm X-H1, in one day simply impossible. (We will try to prepare a detailed test of this camera in the future). Now let’s note some features that caught our eye. So, the camera supports two UHS-II memory cards. The speed of the serial shooting is very high. With a battery handle, it reaches 11 frames/s, and without it – 8 frames/s. The camera has an excellent viewfinder: 3.7 million pixels with an increase of 0.75x. You especially notice the difference when after X-H1 you start to shoot on X-T2 (also with an excellent viewfinder!). To connect to the computer, USB 3.0 is used, not the modern Type-C. But we don’t rush to write it off. First, the transfer speed is high. Secondly, many studios for Tethering have long used reliable and relatively expensive USB 3.0 cables. Among the wireless interfaces, an energy-efficient Bluetooth was added, which works together with Wi-Fi (it supports an economical connection and activates Wi-Fi only for data transfer). There are no objective prerequisites to the fact that it will seriously change in comparison to X-T2. The application of the new sensor was not announced. There are no complaints to color rendition, dynamic range or detailing, although the shooting was sometimes conducted in relatively difficult conditions. Click here to see Fujifilm X-H1 for yourself. 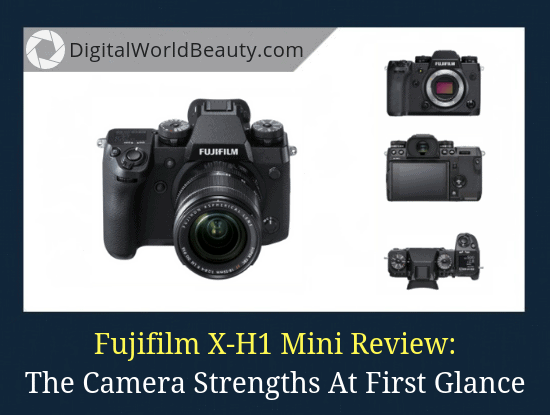 We hope you enjoyed this mini-review of Fujifilm X-H1 mirrorless camera. Stabilization … Any stabilizer works in a certain range of exposures … ie approx. from 1/10 to 1/100 … everything that is shorter than the stab should be turned off, even more so if on a tripod. Fujifilm X-H1 vs. X-T2 … Personally I think that at the end of the day when comparing X-H1 with X-T2, there will be no drastic difference between the two because the sensor is ​​most likely made by common technology X-Trans. Also, I’m more interested in the WHITE BALANCE work with energy-saving and LED lamps, because now they are everywhere, in all the apartments, museums…etc. In some cameras the stabilizer holds up for a second easily, or even more. Normal stabilizer can determine the installation of the camera on a tripod. LED and energy saving lamps are often characterized by such a spectrum that no white balance will help really. 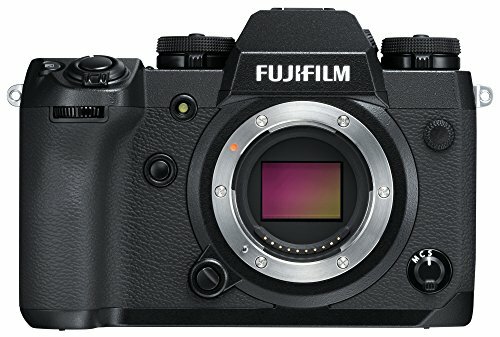 Thanks for sharing your opinion on Fujifilm X-H1 vs. X-T2. By the way do you know that X-T2 was chosen as the best consumer compact system camera at the European Image and Sound Association (EISA) awards event? Well, that’s excellent… 1 second from handheld with a stabilizer at H1 in the studio … I wonder what kind of lens to choose for this experiment … And at what focal length to shoot – 14mm or 150 … cf/2.8, and maybe 400 mm? What’s interesting to me is the live shooting … Who cares about RGB HDMI – I think this is all useless – in reality not too many will understand all this … everything goes in the 1 computer anyway. Based on experience, for handheld shooting Nikkor 70-300G VR 1/25 with 350mm can be easily used. Try it out, Jose.